Reviews for the best handheld vacuum: One of the most important accessories for a pet owner is a good lightweight handheld vacuum cleaner, without which it is almost impossible to keep your house free from the fur of your pets. A good handheld vacuum cleaner is a life changer for the pet owners. Even if your pet is not allowed to be in your bed or couch still it is impossible to stop their fur to be everywhere and many people are also allergic to such particles. Animal fur is sticky and it gets easily stuck in the carpets and the other household cloth materials like the curtains, bed sheets and cushions. It is very important to have a lightweight efficient vacuum cleaner around you so that you can easily clean these irritating hairs, floating everywhere in your house. Here are five best handheld vacuums to check out. The Black + Decker MAX Lithium Vacuum is a very powerful vacuum cleaner and it provides great suction. It acts great in different kind of surfaces with the help of its cool pivoting feature. It comes with a brush set and a pivot tool which is handy, making the cleaning process smooth and efficient. Another important feature of this cleaner is that it’s bagless, as well as cordless. It also comes with a very powerful lithium battery so that you can enjoy your cleaning without any disruption regarding the suction power. This vacuum is one of the best cleaners in this range with such powerful suction. More info on best handheld vacuum for kitchens click here. The Dyson V6 Motorhead Cord Free Vacuum is a very best vacuum cleaner which also incorporates a telescopic wand and it is insanely convenient while cleaning from floors to sofas. The specialty of this cleaner is to gather hair from difficult corners where pet hair tends to gather. It is bagless as well and also provides you 20 minutes back up as it is cordless. There is a little problem with the battery consumption but while cleaning small areas this performs great but you have to hold the power button if you want to clean continuously. The key feature of this cleaner is its suction power, the battery power is not up to the mark, but if you only have bare floors to clean than it can clean them quickly and well. VonHaus 2-in-1 Corded Upright Stick & Handheld Vacuum Cleaner is a vacuum cleaner which is lightweight but comes with an enormous suction power. The vacuum cleaner is sleek and comes with a telescopic handle. 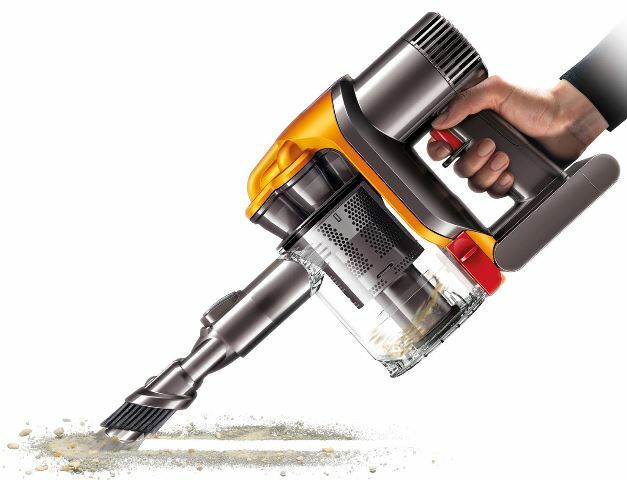 The slender structure and the lightweight quality combined with the suction power makes this vacuum cleaner a standout among the others, and also it is cordless with HEPA filtration and comes with a easily detachable dust container. This machine is enormously flexible and you can transform it into stick vacuum while you are cleaning the stairs or floors. This is the perfect tool for removing the fur from your pet from your home and to easily keep your whole home clean. The Shark Rocket Corded Hand Vacuum is one of the most popular vacuum cleaners visible in the market. This vacuum cleaner specializes on cleaning carpets and the corners of furniture. Most pet hairs are clingy and it is really hard to keep them away from the carpet & furniture, but this vacuum cleaner is very efficient when it comes to carpet cleaning. Click best handheld vacuum for stairs for more information on our business. It comes with TruPet motorized brush with high spinning capabilities which almost gathers every small pet hair. The 15 foot cord is a bit problem as it hinders the mobility of the machine. The filter present in this vacuum cleaner is washable and it also comes with a dust cup. There are various models available in the internet; each and every model has their own specialty. The user is the most important factor and the user has to choose according to your pet and own requirements. So it is important to keep in mind that what kind of pet you have and what kind upholstery and furniture is around you, while buying a vacuum cleaner. Where to buy the best handheld vacuum? For more information on the best handheld vacuum cleaner, contact us at our store location or shop online.